Host was excellent with information for local things to do, see and eat. Payment was easy. Parking ‘during winter’ was easily available. Towels, Linen and Facilities all very clean and comfortable. Memory foam master bed. Many shelves and chest of drawers for clothing. Had one floor and two stand up fans for summer temps. Close to shuttle bus stop. 5 minute walk down into the center of town. 10-15 minute walk up/down to the train station which is the MOST recommended mode of transportation in the region. Great Value for a short winter vacation. We loved the town of Corniglia and this property was right in town. Just a short walk. We loved the view. We went out for every meal, but could have cooked if we had wanted to. The owner was wonderful and did send good directions. However we weren't very with it. The property managers wife came to help us. "look for Lady Bug lights" and you will be fine. We loved our stay. Wonderful space for the area. We loved having the little kitchen and washer for laundry. The little terrace above gave us a great view and was a wonderful place to sit and enjoy some local wine. The area was very quiet. The host was very helpful, sending information by email and assisting with all the logistics. Thank you :) very well located and easy to arrive with car. If you are traveling with kids or pet is a big help! The apartment is bright and comfortable. They left us some coffee for the mornings which was a nice touch. Location was fantastic. Well equipped kitchen with some good basic necessities. Exceptionally clean. Gabriel was very friendly and welcoming. The host was very helpful and kind, she met us on time and recommended some nice restaurants in the area. Beautiful and very clean place. Fabulous location between Railway Station and town centre. Spacious and secluded accommodation with views of mountainside and out to sea. The location very close to village center (3 minutes walking) Corniglia is a nice place! Lock in a great price for Hanging Garden – rated 9 by recent guests! 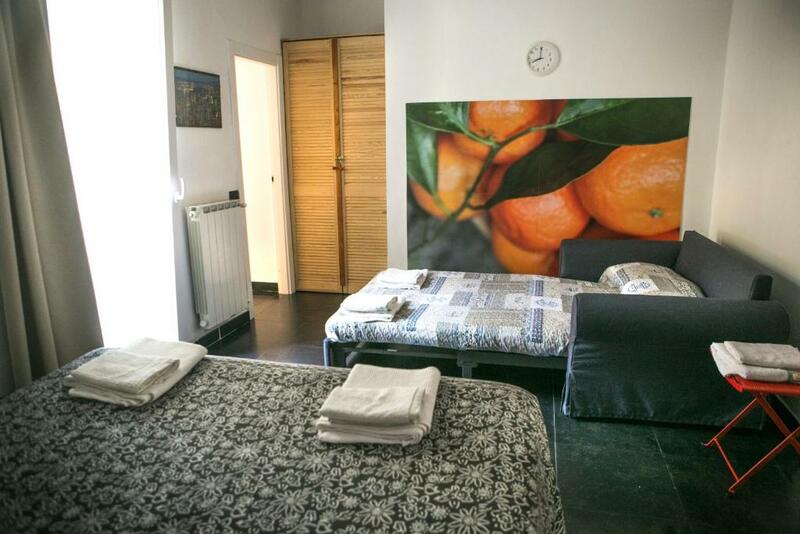 Hanging Garden offers self-catering accommodations with free WiFi in the Cinque Terre National Park, a 5-minute walk from the village center of Corniglia and the seafront. The simple apartment offers a furnished terrace, a living area with a flat-screen TV, and a private bathroom with a washing machine. Corniglia train station is 1,950 feet from the Hanging Garden and allows you to reach Vernazza in 10 minutes. Monterosso al Mare is 13 mi away. When would you like to stay at Hanging Garden? 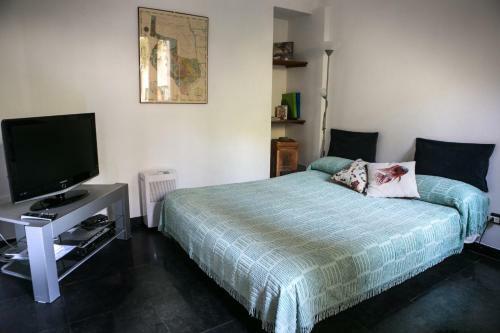 This apartment offers a furnished terrace and a patio. 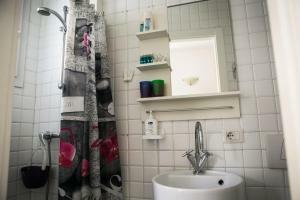 There is a living area with a flat-screen TV and a private bathroom with a washing machine. Free WiFi is available. Offering sea views, this apartment has a fully equipped kitchen and a seating area with flat-screen TV. The private bathroom comes with a washing machine. Free WiFi is offered. 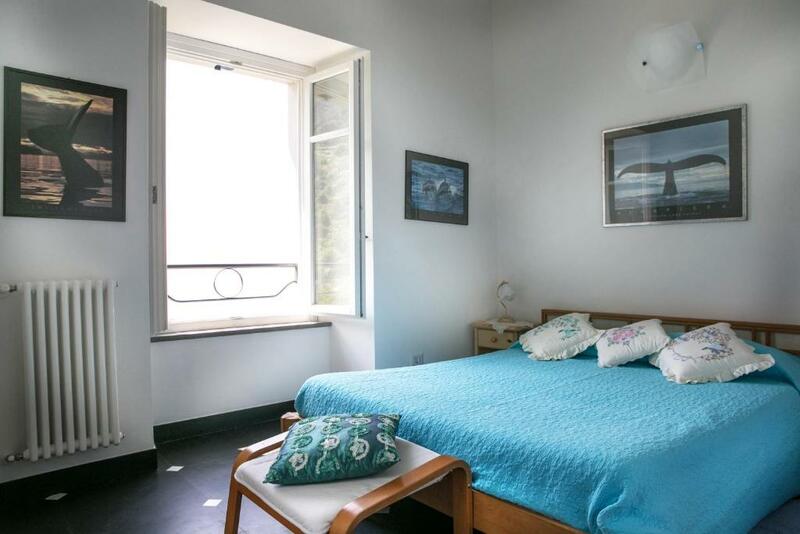 These lovely Cinque Terre apartments in Corniglia are located in the heart of the National Park, a stone's throw from hiking paths, shops, restaurants and easily accessible from the train station. The first unit has been recently renovated (January 2018), we have fitted new screens, upgraded our WiFi and bought a new washing machine. The rental sleeps up to five people and has a charming terrace (the best place for al fresco dining and serious relaxation in the sun) overlooking the sea with distant views of the Riviera. 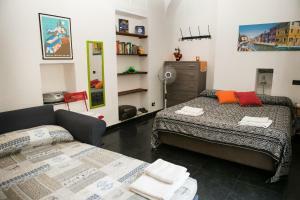 Our second unit is brand new with incredible views of Manarola and the sea. Located strategically in a very peaceful area, sheltered from the noise and confusion of the village, yet only a stone's throw away from shops and restaurants. The bedroom with sea views has an extremely comfortable Queen Size wooden bed (no metal, all wood, all natural) with brand new Memory foam mattress. 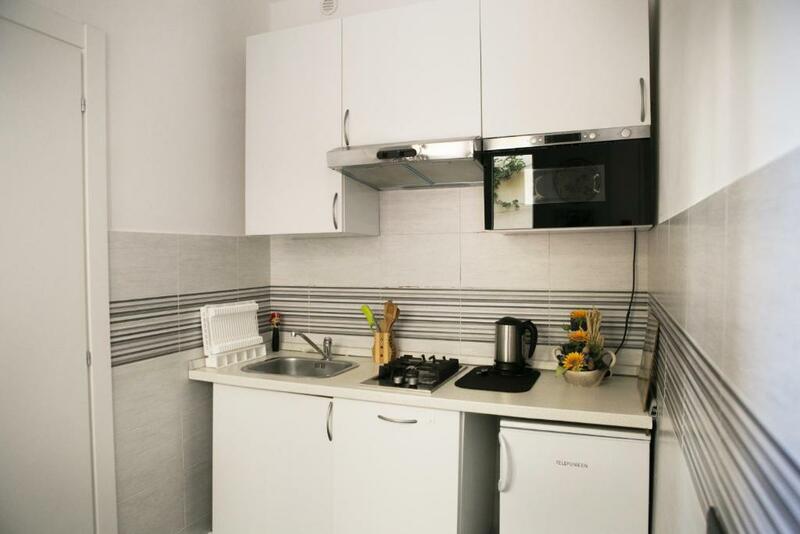 The brand new kitchen is fully equipped and features a gas stove top and a microwave oven. We can book a private parking space from a neighbor, inquire for availability. I live near the Cinque Terre region but was was born in the US and studied in Melbourne for a semester in the early 1990's. I love traveling and take pride in my property which has just been renovated! House Rules Hanging Garden takes special requests – add in the next step! Hanging Garden accepts these cards and reserves the right to temporarily hold an amount prior to arrival. Please inform Hanging Garden of your expected arrival time in advance. You can use the Special Requests box when booking, or contact the property directly using the contact details in your confirmation. Hot water system not big enough for 3 people to have a shower consecutively. Main bed was not so good as we sank into the middle of it. We would have liked better view of the water. The construction work is a good thing for the housing unit, but a few times the debris fell near us while we were walking out of the home. we loved the community and the Italian coastline. We appreciated the hosts efforts to communicate with us, and accommodate our questions and needs. Photos on the site show two different apartment rooms - not clear. We expected a different bathroom/layout AND Terrace view than what we received. Outlets needed additional adapters more than your standard 220 plugs. Very little privacy from living room (extra sleeping space) to master room. We had three adults and two children. Children shared one sofa bed inside the master bedroom. Another adult slept in the living room fold out bed. Very TINY shower. Not enough toilet paper provided for the duration of our stay, you might consider bringing some along. Terrace view was obstructed by garden plants/trees. The hike up from the train station is steep. Plan for shuttle hours. Driving in and out of this region of Italy takes time and slow speeds, especially at night time. Needed another heater - one for both sleeping areas for temperatures in winter. 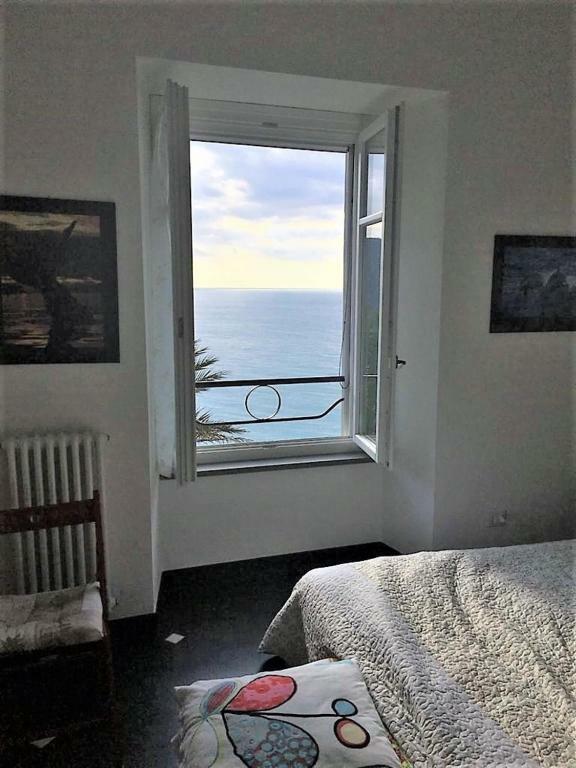 Great location in Corniglia. Beautiful views- and I loved seeing our yellow building when down on the beach or in Manarola. Parking was easily organised. Apartment was very sweet and homely. Nice sized kitchen. We liked that there was a washing machine there. Convenient location for going into town or down to the train station/ beach. We did the hike from Corniglia to Vernazza, intermediate- but lovely views and worth it (most people could complete). Would highly recommend!! The bed in the bedroom had a mattress the slopes to the center...not so comfortable, but the pull out futon couch was easy to set up and excellent; very, very comfortable! We rested well here! The shower was so small and difficult to take a shower. There was a strange smell in the kitchen. It would have been nice to have a place to sit outside that had a better view of the sea. Our bedroom had an amazing view but no deck or balcony. The location is a bit away from the town center and the train station. It has a nice view over the water but you have to walk a bit to get to dinner or going in the morning. It takes few minutes to wait for flushing the toilet. The host is really nice!